One of the best Christmas gifts I ever recieved was a pair of Minnetonka deerskin moccasins. I wore them all of the time. I wore them everywhere. I wore them out. It might be time for a new pair as Winter takes it’s hold. 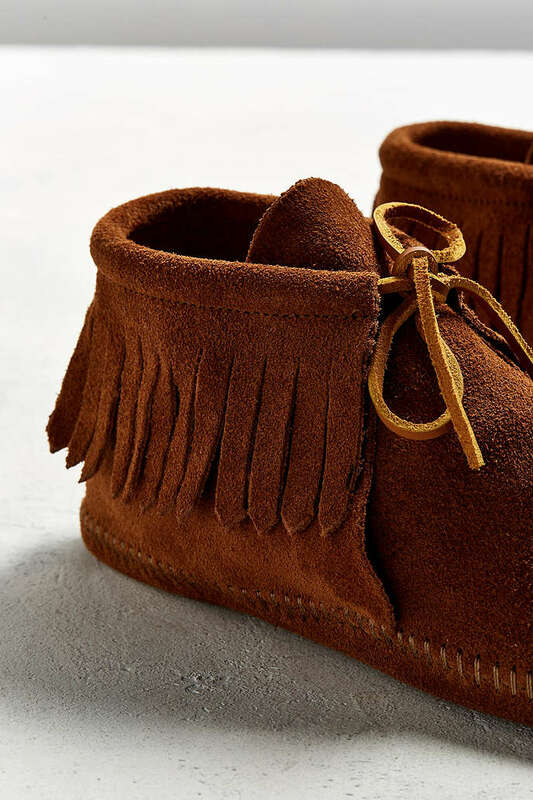 Or, I could switch from the classic to their soft sole fringed boot. Either would be perfect for padding around the house on the inevitable snow day. I say stick with original. Love the simplicity.